THIS SAFARI IS DESIGNED AS A COMPLETE ‘STAND ALONE’ TOUR OR TO BE JOINED TO THE “DESERTS, DUNES AND DISCO DONKEYS SAFARI” OF NAMIBIA. 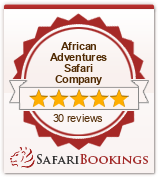 ASK ABOUT THE SPECIAL DEAL AVAILABLE FOR EXPERIENCING BOTH SAFARIS AS A PACKAGE. This safari commences in the scenic capital of Southern Africa, the beautiful Cape Town. Even if you are not a fan of cities you will be enthralled by the scenic wonders and vast array of attractions on offer in the most southern city in Africa. You will spend four days here exploring all the aspects that make Cape Town and the surrounding region one of the world’s great tourist attractions. From the scenic beauty of Table Mountain through to the adventure of diving with Great White sharks there is something for everybody in “the most beautiful Cape in all the world”. After our time in Cape Town we will depart for the tiny coastal town of Paternoster to enjoy this story book style village and its stunning location perched on the shores of the Atlantic Ocean. This is the start of our encounter with the stunning wildflower fields that should be alive with colour at this time of the year. From Paternoster our journey continues north into the heart of Namaqualand and the vast open plains dotted with the vibrant colours of the wildflowers. Our destination is Agama Tented Camp in the very centre of this region and nestled amongst the unique scenery and wildlife of The Western Cape and Namaqualand. Heading north we will cross the border into Namibia and to help break the journey, because distances are large in Namibia, we will stay at Norotshama Lodge on the banks of the Orange River. This destination comes as a total surprise as we pass through the stark desert landscapes only to find ourselves in a veritable “Garden of Eden” in the vineyards and orchards of Aussenkehr. Now that we are truly into the Namibian wilderness each day will bring new surprises and our visit to one of the great natural wonders of the world, The Fish River Canyon, is no exception. We will visit this incredible desert en route to a totally unique lodge in the middle of the Namib Desert called Alte Kalkofen. This will be our staging post for a two day trip to the wild Atlantic coast and the historical town of Luderitz. We step back in time at Luderitz as the 19th Century German architecture dominates the town and people still earn their living from the sea. On route we may be lucky enough to see the wild horses of Aus and even visit the ghost town of Kolmanskop that is slowly being swallowed by the desert sands. Our journey on this leg of the safari will end in the capital of Namibia, Windhoek, but not before we break our journey at the beautiful Africa Lodge at Mariental. 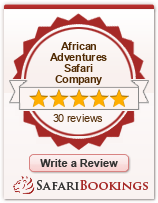 This is a marvellous safari that can be added to any number of other tours or safaris in Southern Africa and as mentioned above it is designed to be joined to the “Deserts, Dunes and Disco Donkeys Safari”.